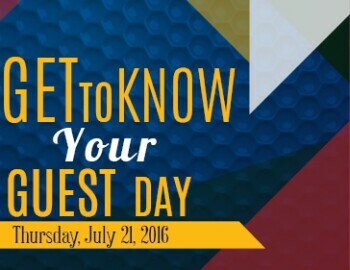 Get To Know Your Guest Day!!! We Want To Know More About You ! Receive $3 off of your cart/green fee on July 21, 2016 when you mention Get To Know Your Guest Day and tell a staff member an Interesting/Fun Fact about yourself. Fun food offers, prizes, and good times await! !